This is the second part in our series covering the options available for anyone looking to implement a timesheet or time tracking system within SharePoint. Those of you who are regular readers of this blog will know that we have been doing some work with SharePoint Timesheets recently. As a part of that we have spent quite a bit of time looking at what’s currently available. In the spirit of social sharing we thought we would give you a rundown of what we have found. I want to stress here that we haven’t tested all of these timesheet applications. We’re not aiming to offer any kind of recommendations here, simply a handy run down of what’s available: A brief summary of each product in the publishers own words, and an idea of pricing where possible. 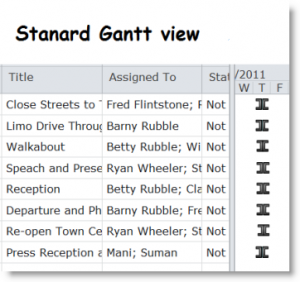 In part 1 we looked at native commercial SharePoint Timesheet applications. Today we are looking at Plug-in Commercial SharePoint Timesheet software. In other words Timesheet applications which, whilst not built in SharePoint, can be accessed via your SharePoint site. These applications may offer functionality which is not available within the confines of SharePoint. A potential issue to consider if purchasing in this category would be that of data integration. Team TimeSheet for Outlook & SharePoint is an enterprise time reporting and billing management solution for team to work, plan and execute project related activities and prepare timesheets in Microsoft Outlook and publish to the company’s SharePoint site. Pricing starts from $600 for a 10 user license. TimeControl is designed with its own powerful web-based interface. However, for organizations which have adopted the Microsoft SharePoint environment as their Intranet or Corporate Portal software TimeControl can be deployed right inside the SharePoint interface. 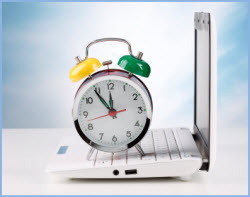 This allows end users to use TimeControl without ever leaving SharePoint. Pricing: Although HMS give extensive advice on how to buy the product, they don’t actually provide any indication of the price on their website. SharePoint Timesheet is a Web-based timesheet solution offered by Tenrox. This Employee Timesheet and Scheduling Management application leverages SharePoint technology for collaboration, dashboards and reporting. Tenrox Timesheet is an on-demand solution that works with your SharePoint instance on-premises or on-demand thereby enabling collaboration with team members and customers in various locations. Pricing: Once again we are in Enterprise land, and the website gives no indication of pricing. That would seem to be about it for commercial plug-ins. Again, if we have missed any then please do let me know. In our third and final instalment we will be looking at creating SharePoint Timesheets for free. Regular readers of this blog will know that over the past few months we have been doing some work on SharePoint Timesheets. As a part of this we have spent quite a bit of time looking at what the available options are for people wanting manage timesheets in SharePoint, and in the spirit of social sharing we thought we would give you a run down on what we have found. Native Commercial SharePoint Timesheets: Timesheet applications fully built and deployed within SharePoint (commercially produced and supported). Plug-In Commercial SharePoint Timesheets: External applications that ‘plug in’ to SharePoint, rather than being fully integrated; making them accessible through your SharePoint Portal (commercially produced and supported). 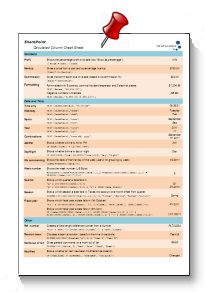 Free SharePoint Timesheets: Free to use, but lacking a commercial standard of support. Today we are starting with Commercial Native SharePoint Timesheets, with the other 2 categories in separate posts over the coming few days. When we finish there will also be a PDF covering all the options, which you will be able to download for reference. In this category we are looking at applications which are built in SharePoint and available commercially (i.e. you are going to have to pay for them). If SharePoint is key to your IT infrastructure then the advantages of having a “native” SharePoint Timesheet application are easy to see. You are leveraging your existing IT investment, allowing people to record time in the familiar SharePoint interface and storing your data in the central SharePoint data repository. 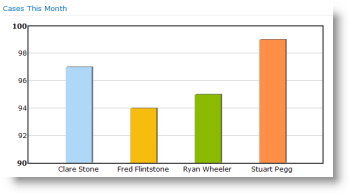 SPTimesheet is the first 100% SharePoint based time tracking management solution. With SPTimesheet you are able to fully leverage your existing investment in SharePoint while benefiting from a feature rich powerful time tracking solution. Pricing is per user and starts at $1000 for 20 users. Understand the full effort associated with the execution of any work item. Reduce organization costs by re-aligning employees to improve deliverables and improve employee productivity and performance. Understand historical data to create precise future estimates and quotations. This is part of the EPM ‘Work Engine’ which “expands the capabilities of SharePoint with a whole raft of common business applications for you to pick and choose from”. Pricing – is not clear from the website, however this is firmly positioned as an Enterprise solution, which may give some clue as to where pricing is likely to fall. 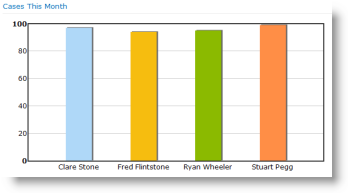 Our application “TimeTracking for SharePoint 2010” offers you a professional time tracking tool. It simplifies the time registration on different tasks or projects, also with your iPhone while travelling. The instantaneous commenting simplifies the documentation of the accomplished tasks. Pricing starts from $1600 for a 10 user license. A simple SharePoint time tracking application. Time is entered through a punch card or a traditional grid. The Team Dashboard shows what everyone is working on now, a breakdown of work this week and timesheets awaiting approval. Powerful reporting and analysis with Export to Excel gives an overview of the big picture. All in a ready-to-use SharePoint site. Pricing – $995 per server. That rounds off the commercial SharePoint timesheet applications. If you know of one we’ve missed, please share! 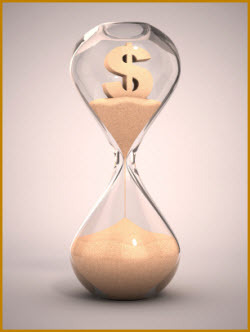 In our next post we will be looking at Plug-In commercial TimeSheet solutions. So here’s a new one for you. SharePoint TeamTime: a nice and easy, ready to use timesheet and time tracking application for SharePoint. We have been busy working on TeamTime all summer and now it’s very nearly ready to go. TeamTime is a native SharePoint application pre-built for you to simply add to your SharePoint site and start using with your team. or a traditional grid or timesheet if you prefer to enter all of your time at the end of the day or week. The team dashboard lets you see who is working on what right now, and to approve time already logged. What exactly has Bob been doing this month? Who has been working on Project X? How much time are we wasting on meetings? TeamTime is a bit of a departure for us. Up until now we have concentrated creating SharePoint components: tools that you can use to help you get more out of SharePoint when building your own sites, applications and dashboards. One of the great things about SharePoint is the ability it give end users and power users to build their own applications. It can be great fun to see just what you can achieve with SharePoint and create something that is exactly tailored to your needs and your processes. But equally sometimes you just need to quickly get your hands on something that just works and instantly solves your business problem, with no time or effort required from you. Our research into SharePoint End User Adoption showed us that getting a visible “quick win” with SharePoint: using SharePoint to rapidly and visibly address a business pain point can be one of the best ways of jump-starting user adoption of SharePoint. Our experience with SharePoint Vacation Planner taught us that sometimes you prefer to have someone else map SharePoint functionality on to business processes for you, rather than having to make that journey yourself. All this made us think that you might welcome a ready to go SharePoint application that addresses one of the most common issues in any business: time tracking. TeamTime has been built using a combination of out of the box SharePoint functionality and customized versions of our own web parts: PivotPoint and FilterPoint. The development has provided us with some new challenges, particularly in the area of user interface design where we have had far more scope to express our creativity that we normally get when building components. Could be dangerous! Working our own components in to TeamTime has also given us a fresh perspective on them and some improvements have resulted – watch this space for a new version of FilterPoint. We are now in the final stages of development and testing with TeamTime and the final version will be released very soon. If you’d like to give it a whirl with our 30 day free trial then sign up here. Wonderful though SharePoint is most of the time, occasionally it just lets you down at the most unexpected moment. So, last week, I wanted to look at a list of all of our sales that were not made to organizations in the USA. Oh dear, we have an option for “begins with” and “contains” but nothing for “does not begin with” or “does not contain”. How disappointing! So, quick call to Ryan, the king of the calculated column, and we have a handy workaround which seemed worth sharing with you. 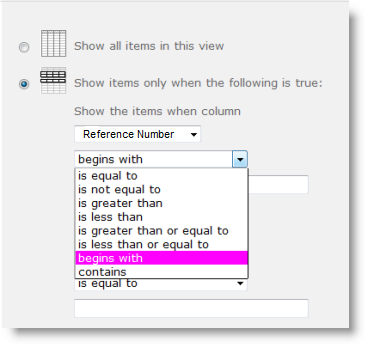 Create a calculated column using the following formula which will just display the first 3 letters of the reference code – call it something like “First 3 letters”. 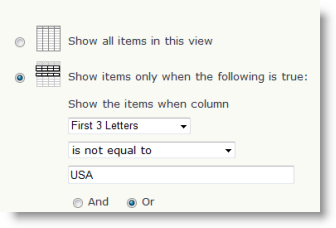 Will return the first position of USA in an entry in the Reference Number field, or an error if it can’t be found. Which gives “Yes” where it returns an error ( “does not contain”) and “No” where “USA” is found, with a filtered view with shows only “Yes” results, will give you records which do not contain USA. See our Calculated Column Cheat Sheet for these and other useful formulas. Hope this helps, and if you have any suggestions for other calculated column ninja moves we would love to hear them. Customers who use our SharePoint Staff Vacation Planner Toolkit often ask about the best way to deal with public holidays. Public Holidays tend to affect the whole team. So you want them clearly marked on your Vacation Planner dashboard, but you certainly don’t want to have to enter each public holiday for each team member as a separate event. And you probably also don’t want to be firing off absence approval requests for each holiday either. So here are our suggestions on the best way of handling Public Holidays within the SharePoint Staff Vacation Planner Toolkit. First you need modify your list. Go to list settings and open up your “Reason” field. In addition to your existing reasons for absence add a new reason – Public Holiday. Then open up the settings for your “Requested By” column and make sure you have “Allow Multiple Selections” checked. Now you need to modify your Planner web part. So, “Edit Shared Web Part” then, under your “Category” picker, check the “split multiple selections box”. This is key if you want to be able to create just one event for each public holiday but have it show up against each of your team members. Now go down to the Planner Colors section of the Toolpart and update your color coding by column section to include an extra color code for your new Reason for absence that you created in your list – Public Holiday – I am going for a nice orange. Now check your PivotPoint web part. For this to work you are going to need PivotPoint 2.1.4 or above. Download it here if you don’t have it already (free to all PivotPoint v2 customers, or v1 customers with Premium Support). In the Toolpart make sure that in the “Split Multiple Values” dropdown you have chosen “Split Records”. 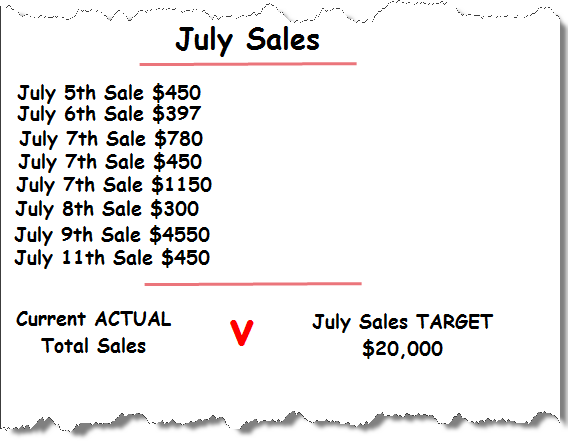 This will ensure that when we enter a 1 day public holiday for 4th of July, for example, 1 day gets entered against each team member in the pivot table. Finally, before we start adding events, to ensure that we don’t accidentally fire off approval requests and notifications all over the place, access the Reminder web parts that you have set up and in the “Reminder Testing” section at the bottom of the Toolpart enter your own email address so that any emails generated whilst you are adding the public holidays go to you. This will be a better solution than simply switching the Reminders off as you work, as it will mean that if any “real” requests are submitted whilst you are working you will be able to redirect them, rather than them being lost. So, from your Planner dashboard add a new item. Let’s do 4th July. Set it up as an all day event. Set yourself as “approved by”, you will need to approve the event before it will show up in people’s dashboards. Now add your whole team to the “Requested By” field. It’s easiest to do this using the Address Book. Now ensure you have selected “Public Holiday” in your Reason field. Approve the request. Discard all the “Request approved” notifications that are redirected through to you. And now you will see your public holiday, nicely marked against each of your team members. Repeat as needed for all of your other public holidays, remove the redirect from your Reminder emails and then you can relax for another year! I hope this helps you in using Vacation Planner. If you have any questions or requests about the Vacation Planner we would love to hear them. 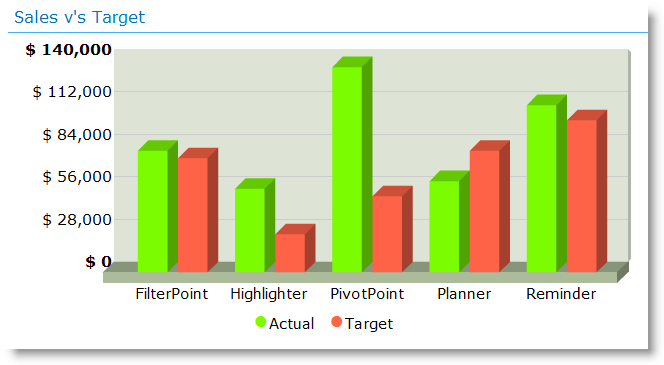 Only last month we launched PivotPoint v2, which added charting and drill down to this popular SharePoint tool. Now we are releasing v2.1.5 which has some pretty nifty new features added as a result of your feedback on v2. You pointed out that when looking at a chart, if all of your values are bunched between say 90 and 100, viewing them on an axis that runs from 1 to 100 doesn’t make things all that easy to read. So the new Axis Minimum option lets you choose where your axis starts (in the example above this would be 90) making charts that much easier to read. 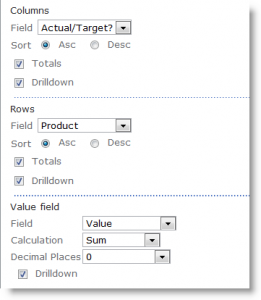 In PivotPoint v2 we had disabled the option of using a multi-choice column. We felt that in most circumstances this simply didn’t make sense as an option within a Pivot Chart or Table. But you disagreed, so we put the option to work with multi-choice fields back in and we think we have come up with a way of making it more usable. So for example, take a simple task list – where as you can see the “Present Proposal” task is assigned to multiple people – Barry and Fred. If you choose to split multiple choice records between their multiple parts the full value of the record is allocated to each of its choices. 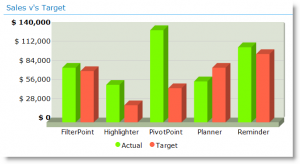 This brings PivotPoint in to line with the way that SharePoint Planner works, so will be especially useful for people who use dashboards with both Planner and PivotPoint deployed, and will also be very useful for our Vacation Planner users – watch this space for an update on how this is going to help you. Custom fields can cause all sorts of trouble, so previously we had simply outlawed them in PivotPoint in an effort to try and keep things simple. However quite a few of you have said you wanted to be able to use custom fields, so we have now allowed you to enable this feature. Be warned though, not all types of custom field will work correctly in PivotPoint (depending on their design) and we won’t be able to provide support on 3rd party custom fields. Full information on all of these changes can be found in the PivotPoint manual. PivotPoint v2.1.5 is free to download for anyone who has previously purchased PivotPoint v2, or PivotPoint v1 plus Premium Support. Existing customers can download the latest version here. The new version can be installed directly over the top of the old, and you will retain all of your existing web part settings. For those of you using PivotPoint on a 30 day free trial, you can upgrade to the new version here, your trial will continue and you will retain any web parts you have set up already. We hope you find these new features useful and we would love to hear your feedback on them, or any other aspects of PivotPoint v2. SharePoint Planner – New Version Release, every minute counts! We were recently contacted by a customer who was going to be responsible for organizing a visit from a Very, Very important person. The visit would only last a couple of hours, but would involve many people and needed to be planned down to the minute. The client wanted an easy to use graphical representation of the project, in SharePoint, for everyone to refer to and update as the event progressed. Hmmm, don’t think that’s really giving us the kind of info we need. We have 7 items here, scheduled over a 3 hour period from 12 noon to 3pm, items fall in to different categories and are assigned to different people. We’re not really getting that from this view are we? Actually, the view is quite misleading. The first event “Close Streets to Traffic” looks as though it lasts for one hour from 12.00 to 13.00 right? Wrong, this is actually a 40 minute event, starting at 12 and finishing at 12.40. This may not seem like a big deal but there are times when this kind of accuracy really matters – it’s easy to see how running 20 minutes late at a VIP event could lead to VIP tantrums! So how about the out of the box Gantt Chart? OK, so we have access to a little more info on who is doing what, but now we can see nothing at all on timings. We can zoom though, and this is what we get when we do maximum zoom. Well it’s certainly an improvement, but it’s not great is it? We are on maximum zoom here are it’s still quite difficult to see the detail of what’s happening when. The new 10 and 15 minute scheduling options allow you to schedule events more accurately and deploy resources more effectively. This is a new feature in Planner version 2.6.6, so if you are using an older version of the software it would be worth upgrading now. Or if you don’t yet use SharePoint Planner why not give it a try today with 30 day free trial? It is sooo much easier to keep on top of your tasks if you can see at a glance what is due when. It’s easy to add this color coding to your SharePoint lists with SharePoint Highlighter in just a few clicks, but setting up the rules correctly is a bit of a mind-bender, so in this post we are going to show you how. Tasks due in 7-14 days highlighted in yellow. Tasks due in more than 14 days highlighted in green. Give it a name – I’ve called mine “Due When”. From the 3 Highlighting Styles choose Highlighting, and choose to Highlight Rows, though this method would work equally well with icons or cell highlighting. As we are highlighting the whole row we don’t really need to see the actual Highlighter column, so choose to put this to the right of the view, out of the way. 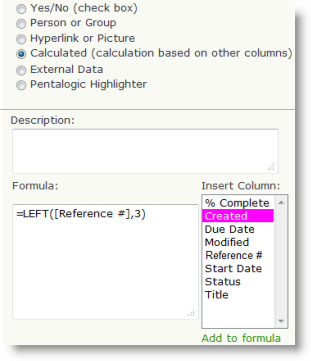 If we were using Auto Setup Rules we would now base the Highlighter column on your Due Date column – this is where it would get its information from. But what we want to do is a bit too complex for the Auto Setup, so you can leave this box blank and go straight to to the Advanced Rules – click Add Custom. Scary! Not really, we just need to think logically about when we are trying to achieve. The main thing you need to remember is that Highlighter will apply the first rule it finds that is true. Once it has applied one rule to a row, it will ignore all other rules. So, when Highlighter checks the list, first it checks to see if the item’s due date is less than 7 days after today, if it is Highlighter colors the row orange and moves on to check the next list item. If this rule isn’t met Highlighter checks to see whether the item’s due date is less than 14 days after today, and so on. As you can see we have lost our orange highlighting for items that are “Due in Less than 7 days”. Because Due in less than 14 days is now at the top of our list of rules this is what Highlighter is checking for first, so it is missing the more urgent items. It’s all about getting your rules in the right order, and as you can see, Highlighter gives you the ability to move items up and down the list with the up/down arrows, or insert or delete a rule at any point. I hope this has helped to make sense of the advanced rules, and if you have any scenarios that you would like us to work through for you then we would love to hear from you.